We recommend booking a 1 hour conference with your Moora lawyer before going to court. You will get expert advice on what you should do, the likely outcome and any preparation you need to do beforehand. You will also get a fixed quote on the cost for you to be represented in Moora Magistrates Court on the day. If you prefer, you can meet your lawyer at Moora Magistrates Court without the need for a conference beforehand. Some examples of when this will suit you are adjournments, simple pleas or when your case is listed for directions from the court (not a final hearing). And if you are not on bail, you may not even need to attend. *Your $295 (incl. GST) secures your Moora Lawyer for the first hour or part hour of their time. If your case is going to take more than one hour it will cost you more than $295. If so, your lawyer will tell you this, give you a quote before doing any additional work and make arrangements for further payment directly with you. Moora Magistrates Court operating hours are 9:00 am to 4:00 pm Monday to Friday. The Moora Magistrates Court is at number 9 Dandaragan Street, Moora. Situated 200 km north of Perth, Moora has a current population of around 3,000 people. Moora comes in the wheat belt region of Western Australia and out here it gets hot, with temperatures in summer reaching 45 degrees celsius. The Drovers Inn is the perfect place to re-hydrate, meals there are the best in town. 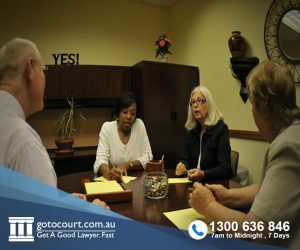 For expert advice and strong representation call Go To Court Lawyers Moora on 1300 636 846.